In 1998, I attended an exhibit at the Museum of Modern Art here in NYC entitled Contemporary Japanese Textiles: Structure and Surface. 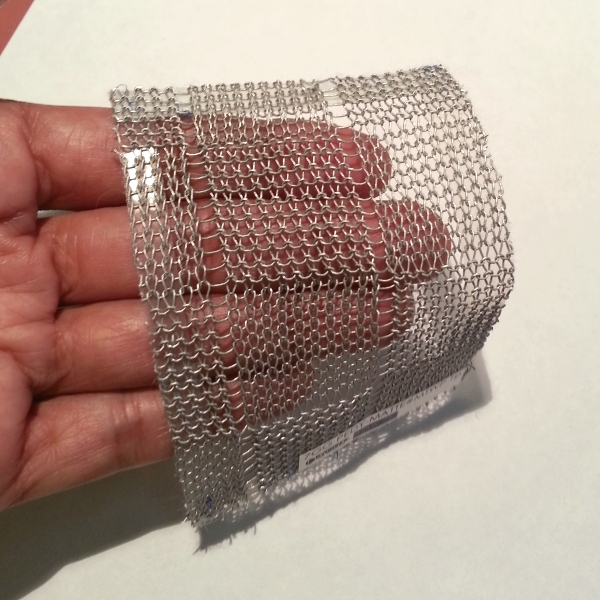 That was my first time seeing "fabric" that had been produced from stainless steel yarn. I was very impressed. The fabric reflected light, but wasn't all glittery or overly shiny like lamé. Now it didn't really drape and I had no idea what I would do with it, but I liked it. Years later, I came across the metal yarns from Habu Textiles - beautiful, but can't be knitted on the machine. 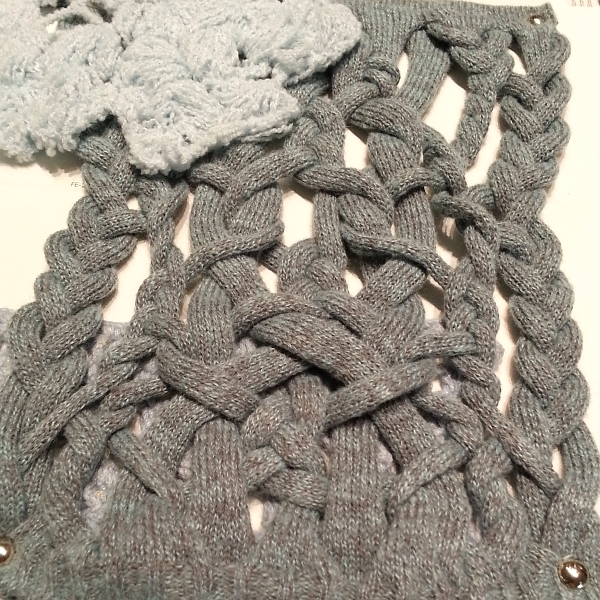 I've experimented with the stainless steel/wool blend from Lion Brand, even knitting a vest with it. But Tuesday at SpinExpo I cam across this. As many of you know, I live in NYC, where there are offices for several yarn producers, but SpinExpo offers something a little different; there are almost 100 international yarn producers and knitting mills represented under the same roof. My goals were to see a few who don't have offices in New York and to attend the trend presentations for fall 2015. Below are a few pics from the event. 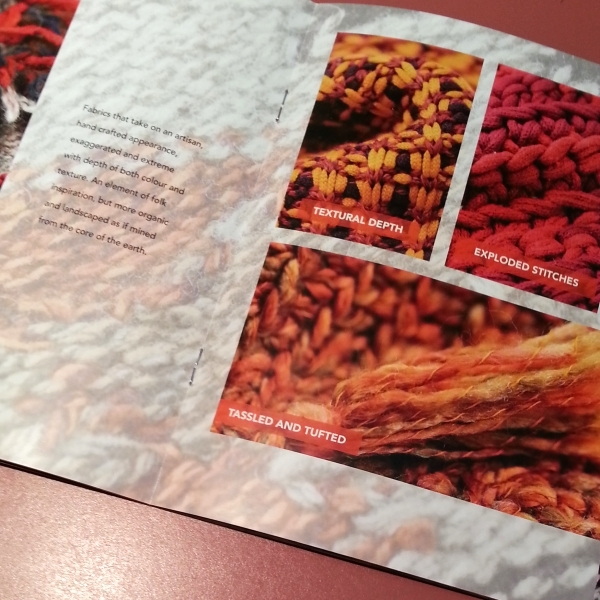 Above is the centerfold from the trend area booklet produced in association with Sophie Steller Studio and a number of knitwear manufacturers, yarn producers, showrooms, and a couple of universities, too. Below are some pretty, heathered jersey strips twisted, braided, cabled. There were lots of brushed yarns. 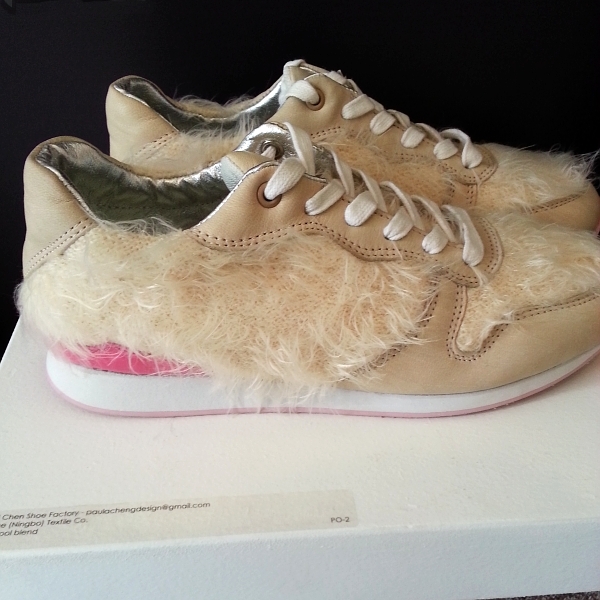 Here are sneakers by Paula Cheng Design with knitted and brushed uppers. 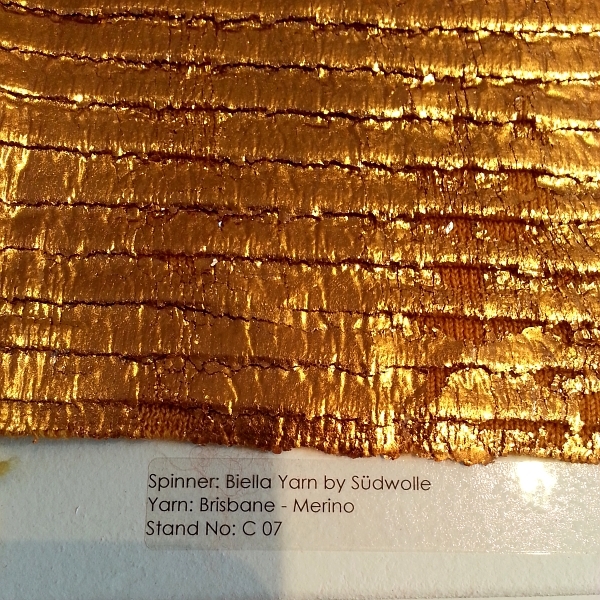 I suppose this one's like gilding the lily -- gold-leafed merino pin tucks. So many interesting things to see and touch! I have more pics, which I'll post at a later date.